Singer Island has a new Luxury Hotel/Condo that opened in April 2007. 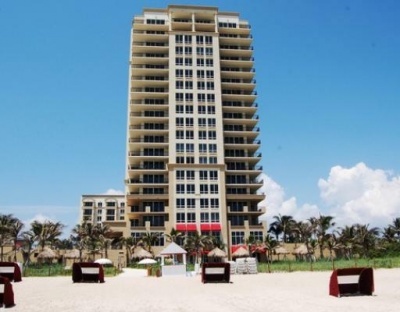 It is a fabulous place to stay to enjoy Singer Island and the surrounding area. Enjoy the sunrise and breakfast on your hotel balcony before going to the beach. Cabanas are available for a leisure day at the pool with a good book and tropical drinks at the Adult Pool or takes the kids to there own pool with a water slide. If not a day at the pool? A day of shopping at the Gardens Mall for her or golf at the many courses in the area for him. Or both!!!!!! The evening brings dining in a wonderful restaurant overlooking the ocean, dancing under the stars and before ending the evening – an after dinner drink in the bar. The Resort on Singer Island has something for everyone of all ages. Fall in love and buy your own condo/hotel.